Do you ever find it tough to keep your audiences alert and engaged at your event? At ABCey Events, we are always on the lookout for new ways to keep our attendees involved and interested. 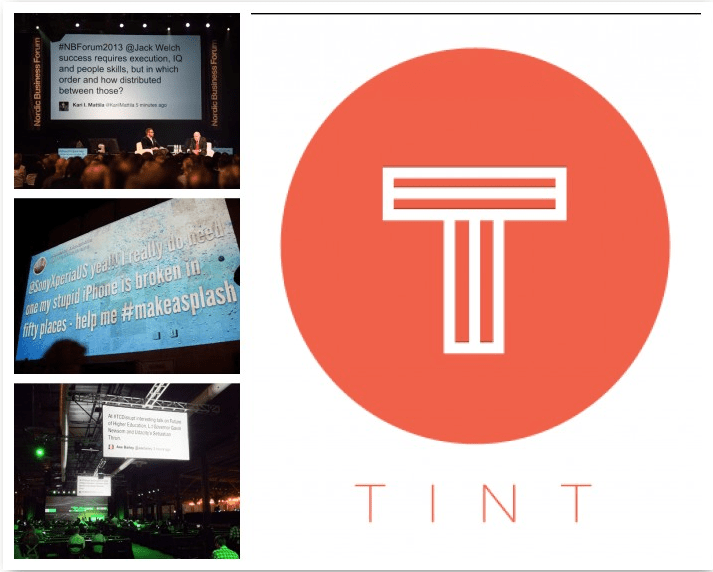 This new San Francisco based company Tint, is the solution we’ve all been searching for! Tint’s mission is to help organizations drive deeper relationships with their customers through social media. How it Works: Tint helps company’s connect through any page, handle, hashtag, playlist, and/or tagged location from any social network. It also moderates which posts they wish to display in order to generate the best content possible. This software also has the capability to display the message on any website, mobile app, TV display, event wall, or jumbotron! Why it’s Great For Events: Tint specializes in relationships with customers through social media. When an attendee uses a unique hashtag centered around the event, their tweet or Instagram photo will automatically stream into the event wall/TV screen. This can also be used if your event has a Q&A session! Request that attendees ask questions tagged with your event’s hashtag and use Tint to display a Q&A wall to allow speakers to address the questions. Another option is to use Tint to display pictures and information about your event in a creative and colorful way! Tint can be used in so many different ways and can really help generate engagement and excitement with your attendees. We can’t wait to see how they grow and develop! Let us know what you think of this social media platform in the comments below or on Facebook and Twitter!